Original watercolor on 300# paper. 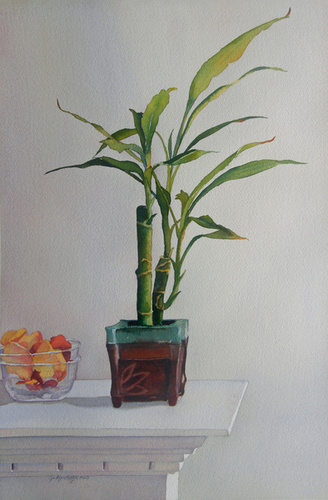 The painting depicts a bamboo plant set against a neutral, soft grey background. The painting is matted to 22 x 28, is being sold unframed and will ship flat.